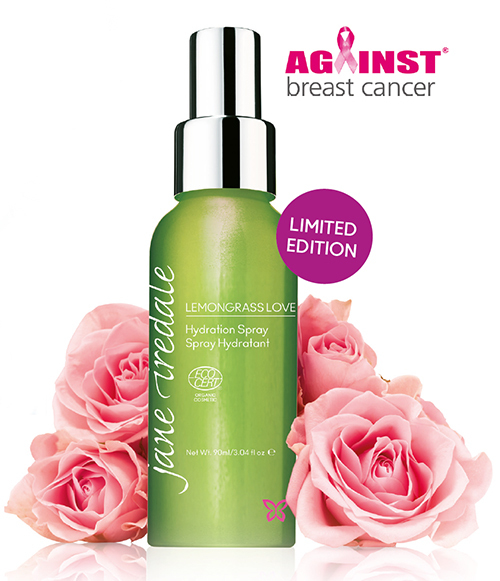 Spread Lemongrass Love and support Against Breast Cancer | iiaa Ltd | The UK and Ireland distributor of Environ Skincare, jane iredale makeup and Advanced Nutrition Programme. Our new Lemongrass Love Hydration Spray has arrived. Get purchasing as a percentage of the proceeds go to Against Breast Cancer. The hydrating, organic spritz contains chamomile flower extract to calm and soothe, while lemongrass oil refreshes skin and controls oil secretion.